At Southside Marine, we offer NEW Havoc Boats, Glasstream Powerboats, Tohatsu outboards, Mercury Outboards, Mahindra Tractors and XTV's and Down 2 Earth Trailers! Customers with larger families that like to cruise In-Shore and Off-Shore waterways love our Glasstream Powerboats. 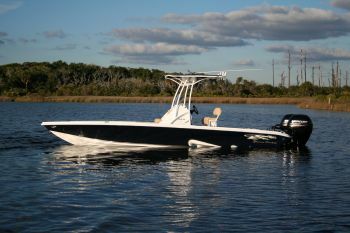 Owners have confidence riding in one of the most Fuel Efficient and Fastest boats on the market that require "LESS" horsepower...The 228 Bay Model packaged with a Mercury Marine 200HP reaches close to 60MPH. And we continue to expand our dealership’s inventory - new arrivals are from Boca Bay Center Consoles, Sylvan and Starcraft Pontoons and Runabouts are all NOW IN STOCK!! Whether you're buying your first Mahindra, or scrapping the other guys for a real workhorse, come in, test drive and "Trade up to Tough" for real savings on the industry's Toughest Tractors and Utility Vehicles on Earth! Check out our Facebook Page and see all the owners of NEW quality products from Southside Marine!! !